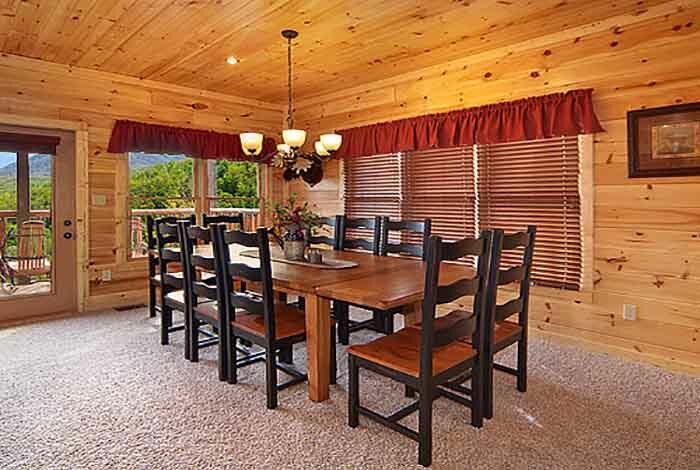 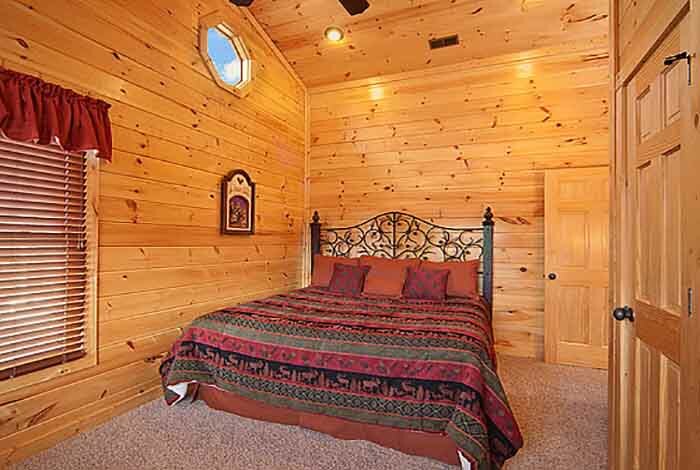 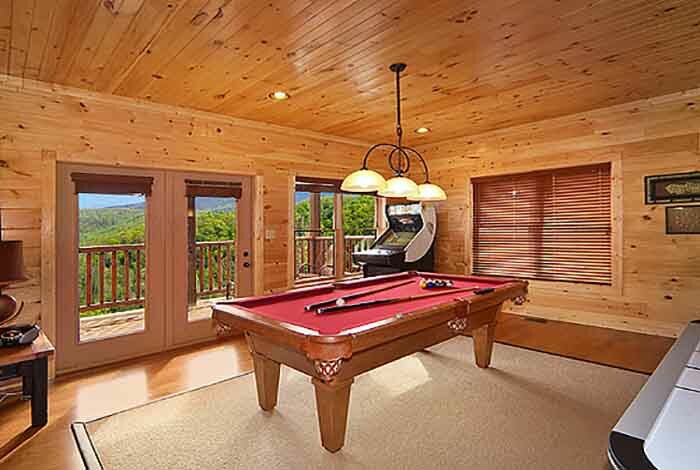 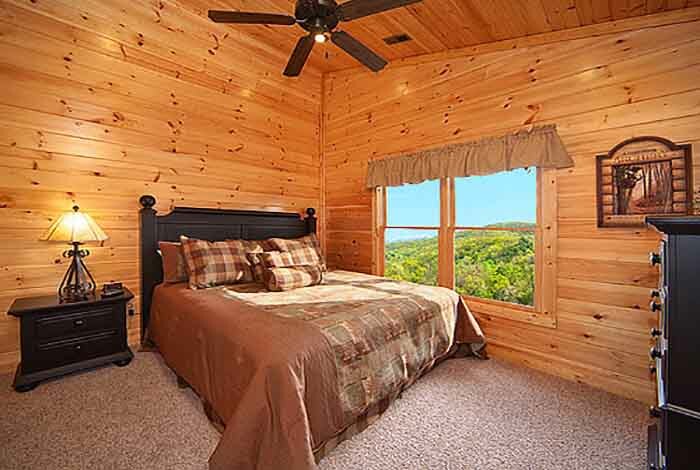 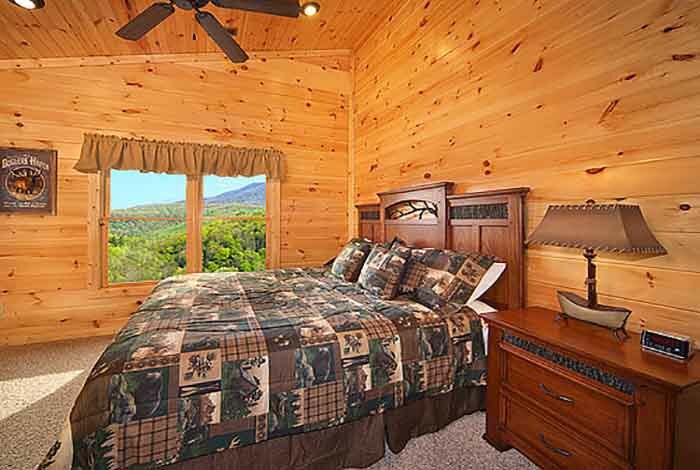 Perched high atop the Gatlinburg Falls Parkview Resort sits Eternally Yours, a luxury 3 bedroom Gatlinburg cabin rental that is sure to make your next family vacation the getaway of a lifetime. 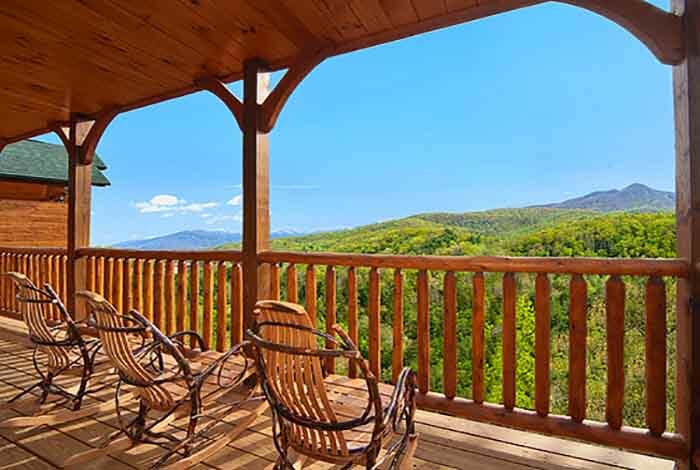 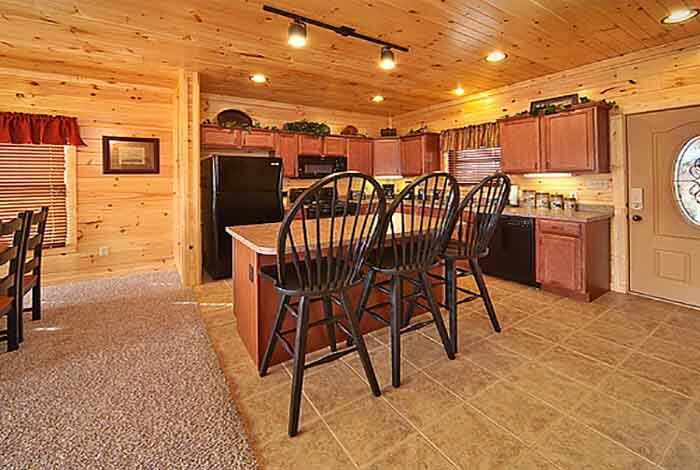 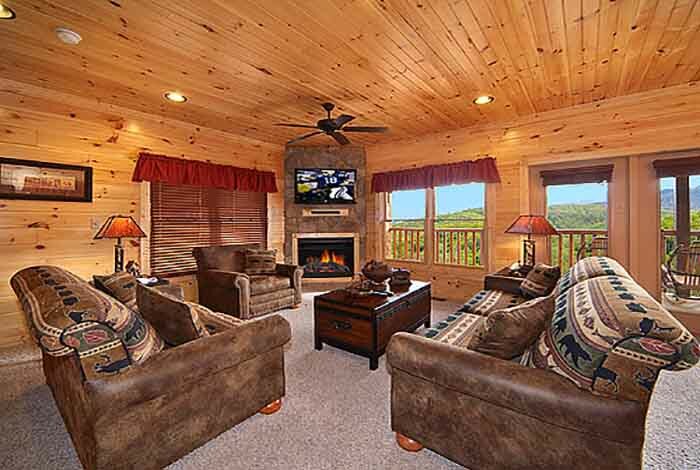 Breathtaking Smoky Mountain views can be viewed while relaxing in the hot tub and Amish rocking chairs on the deck. 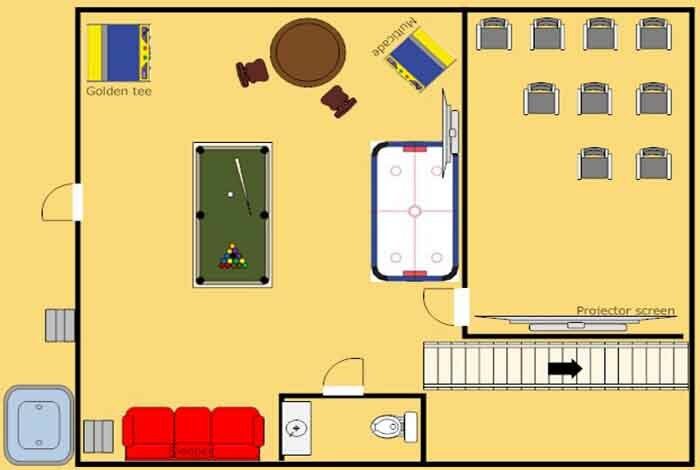 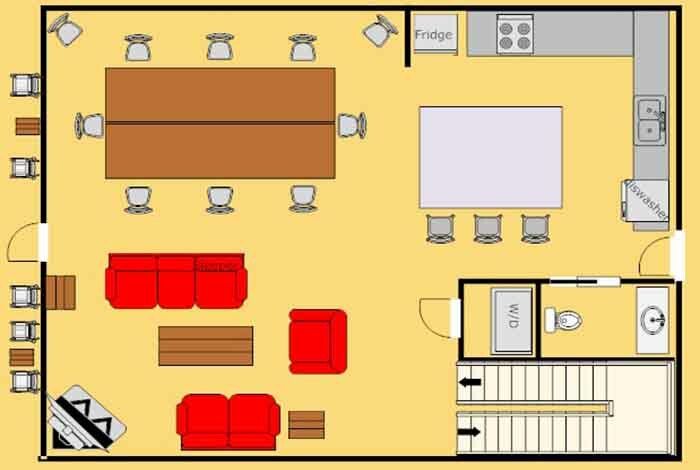 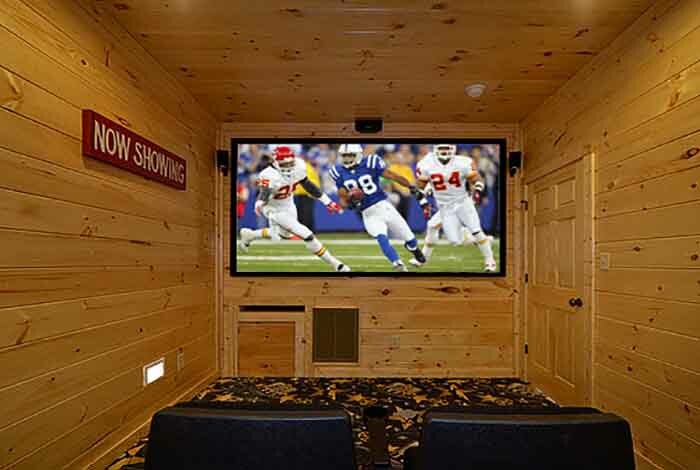 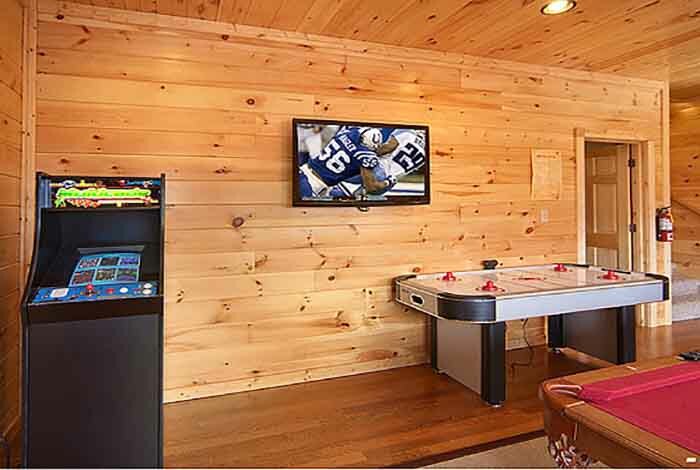 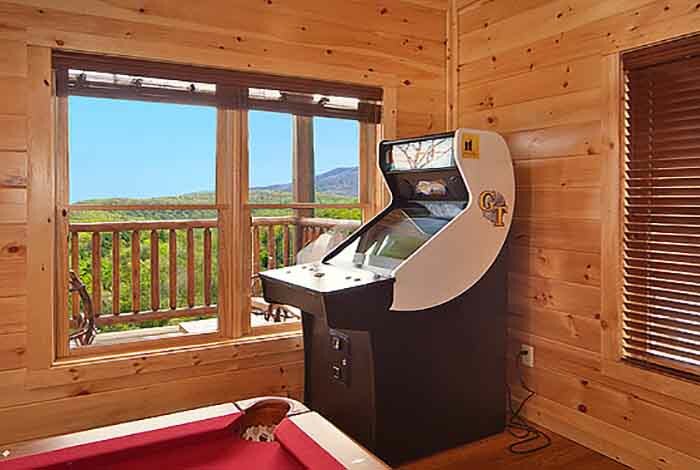 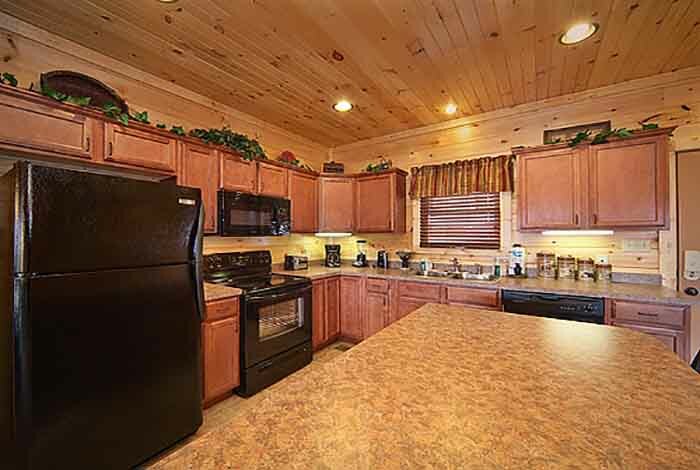 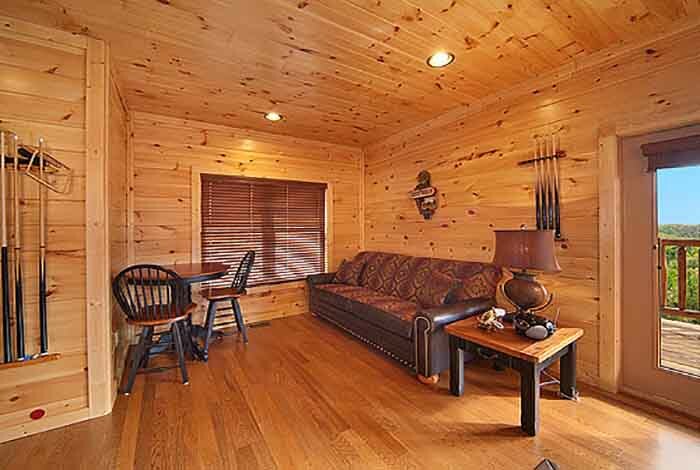 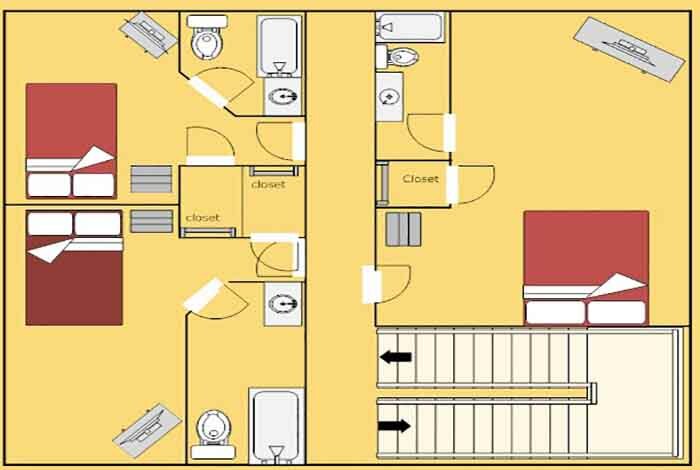 Step inside and enjoy the lodge-style furnishings, Wifi, fireplace, 4 flat screen TVs, and game room stocked with Pool Table, Golden Tee, Air Hockey, and Multicade with over 20 arcade games. 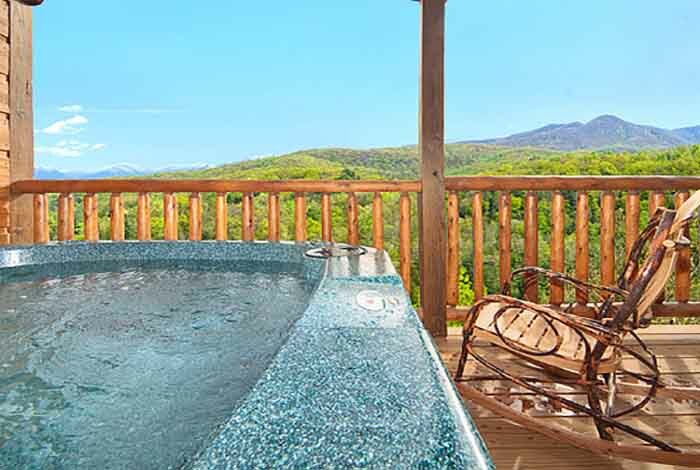 Our guests also gain access to the resort swimming pool and fitness center located near the welcome lodge. 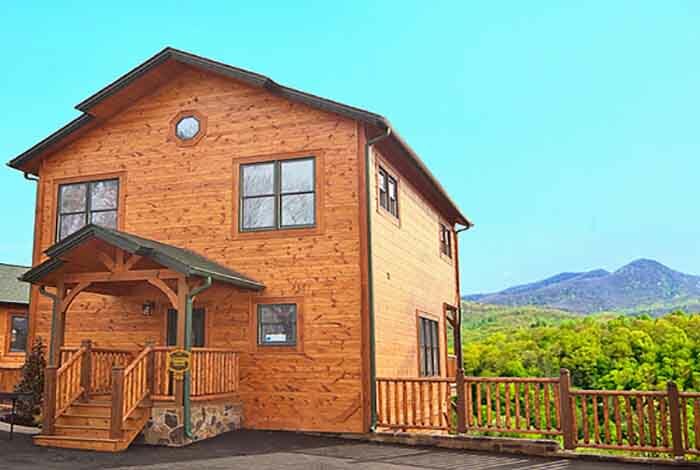 All this while being located just minutes from downtown Gatlinburg and Pigeon Forge makes Eternally Yours the perfect spot for your next family getaway.